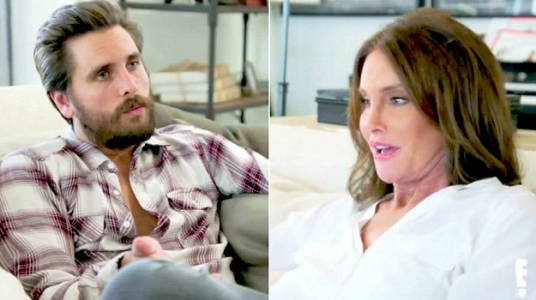 During a heart-to-heart chat with Scott Disick as they discussed how the men in the Kardashian /Jenner family have reacted to her recent gender transition in the new episode of her show, Caitlyn Jenner slammed her former son-in-law Kris Humphries for his ‘Man, glad I got out when I did’ tweet when she officially came out. “You’re part of my kids’ lives,’ Scott said explaining how he felt. ‘To be honest, I don’t know if every man in the world is going to be as comfortable as I am.